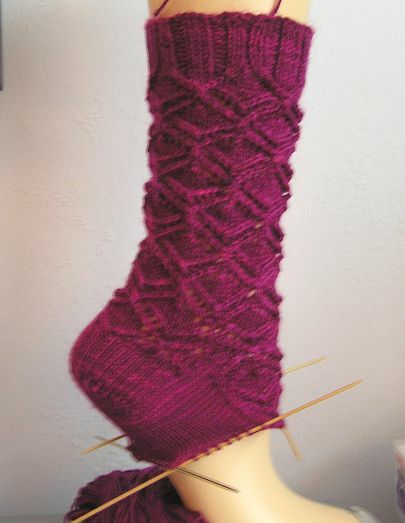 I was lucky enough to be one of the sample knitters for Cookie A’s new sock book (Sock Innovation)! It was a terrific experience, if a bit stressful, because we were unlucky in that the skein of yarn we were given turned out to be short in yardage. I had to frog and reknit the toes a few times in order to use up as much as possible (I think there was less than 1 yard left in the end) without making the feet unreasonably short. 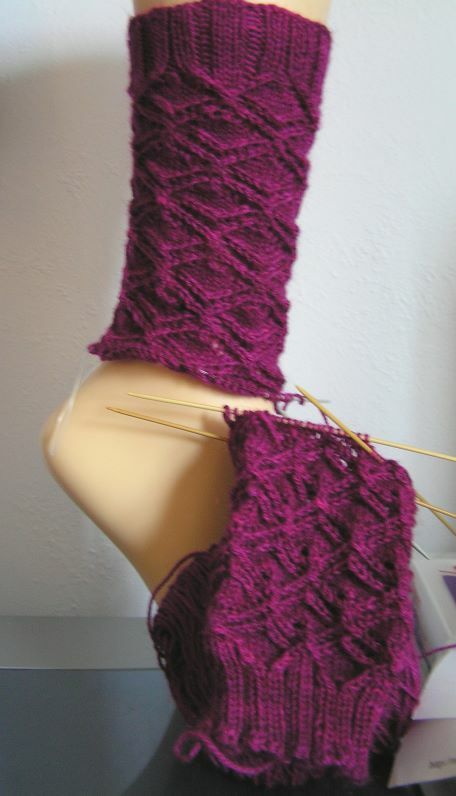 Because of the skimpy yardage, I also knit the heel flaps to be 2.25" long�the absolute minimum�whereas 2.5" would’ve been ideal. I was unable to get a good finished photo before sending them off to Cookie, but you can see a preview photo on the book page (it’s the first one after the cover photo). The design is called Devon. Another good photo is available in today’s Knitting Daily post. 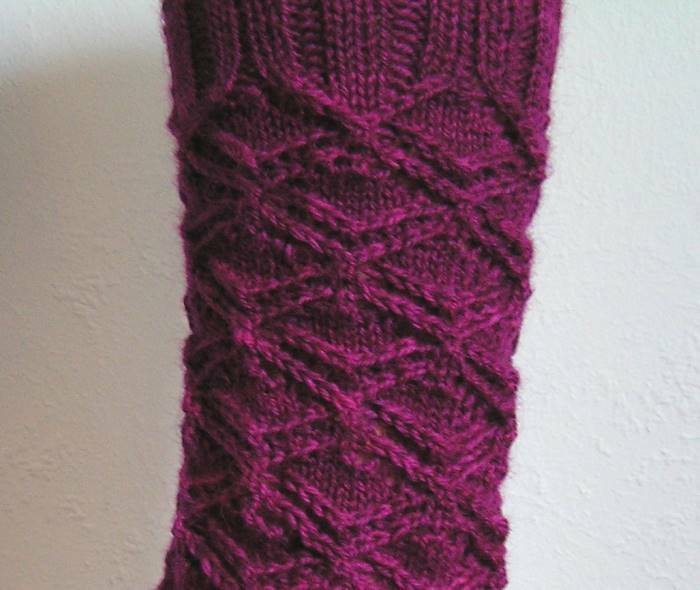 Beautiful socks and yarn! With less than one yard left at the end, no wonder it was stressful. Very cool! And I LOVE that pattern. What a great experience — lucky you!! But yeah, stressful. Yikes. What a cool pattern!! Great sock! I am waiting patiently for my pre-ordered copy. Yeah.. I would be stressful if I don’t have enough yardage. Just like what I’m experiencing now. If you spin maybe you understand. This question pops up all the time. you were a test knitter for cookie a.? how cool is that? the socks look fantastic! can’t wait to get the book now.